Use either the 3 x 3 or the 4 x 4 Snowball ruler by Ruler Revolution to miter these corners in a snap. 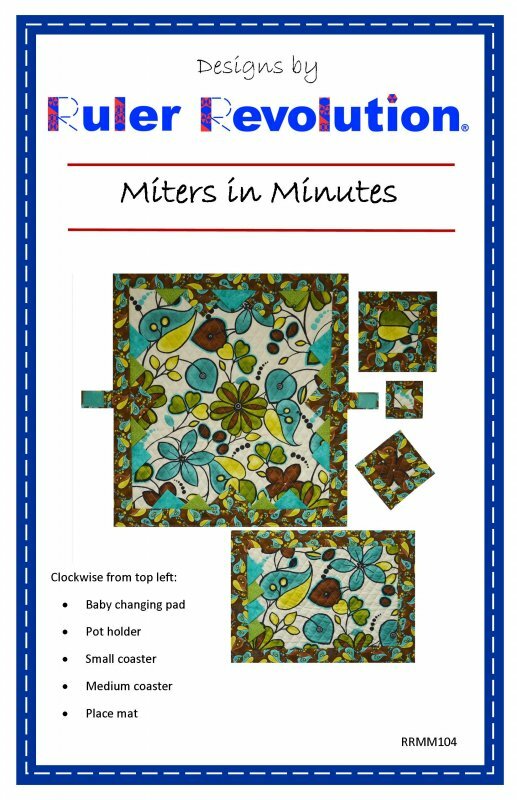 You can construct an attractive, quick and easy quilt or changing pad for the new baby or grandbaby in the family, a set of place mats for a hostess gift, or replace your coasters or pot holders in no time. In just a few hours, you can complete all of these items with mitered corners—the Ruler Revolution way. There is no need to avoid the “M word” anymore. Fast and simple.